0 – 3 months (3 – 6 months, 6 – 12 months). Gauge: 22 sts. in 4 inches using 3.5 mm crochet hook. Start in 2nd chain from the hook. Make 2 hdc into the same. Hdc 7 (8, 10). Make 5 hdc into last chain from the hook, now start on the other side. Hdc 7 (8, 10). Make 3 hdc into the last one. Do not join, do not turn. = 24 (26, 30) sts. Start in the first stitch from the previous round. Make 2 hdc into next 2. Hdc 7 (8, 10). Make 2 hdc into next 5. Hdc 7 (8, 10). Now make 2 hdc into the last 3 stitches. = 34 (36, 40) sts. Start in the first stitch from the previous round. Repeat (2 hdc into the same, hdc 1) 2 times. Hdc 7 (8, 10). Now repeat (2 hdc into the same, hdc 1) 5 times. Hdc 7 (8, 10). Repeat (2 hdc into the same , hdc 1) 2 times. Make hdc and sc into the next stitch. Sc into the last one. Join with ss. = 44 (46, 50) sts. Turn the sole to the right. The nicer side should be on the outer side of the shoe. This is very important! 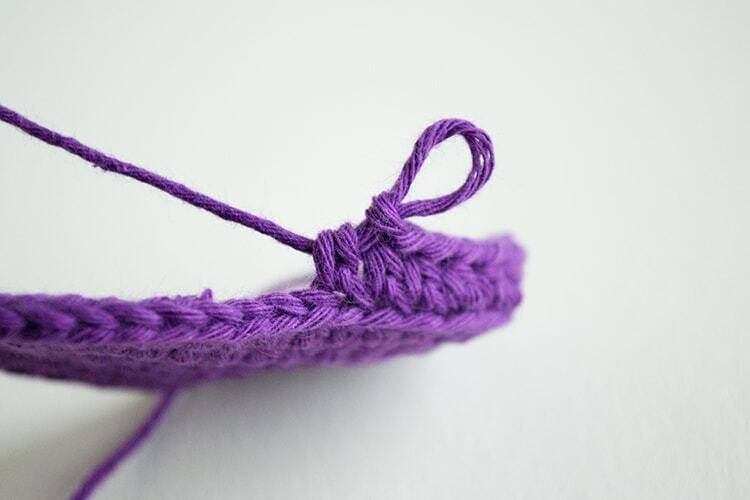 Make sure you start in the middle of the heel. Work in back loops only. Work with MC. Make chain 1 and hdc into the same. Chain does NOT count as a stitch! Hdc 43 (45, 49). Join first and last stitch in the round with ss. Ss does NOT count as a stitch. Work in both loops. Now change the color and work with CC. Make ch 1 and hdc into the same stitch. Hdc2tog. Hdc 38 (40, 44). Hdc2tog. Hdc 1. Join first and last stitch in the round with ss. = 42 (44, 48) sts. Chain 1 and hdc into the same. Hdc 41 (43, 47). Join first and last stitch in the round with ss. Ch 1 and sc into the same. Sc 11 (12, 14). Repeat (sc2tog, sc 1) 6 times. Sc 12 (13, 15). Join first and last stitch in the round with ss. = 36 (38, 42) sts. Chain 1 and sc into the same. Sc 9 (10, 12). Hdc2tog. Repeat dc2tog 6 times. Hdc2tog. Sc 10 (11, 13). = 28 (30, 34) sts. Make a small circle. Work with MC. Round 1: Work all6 hdc into the 3 th chain from the hook. Join the first and the last stitch together with ss. Chain does not count as a stitch! Round 2 You can see that from the first stitch comes out the chain. 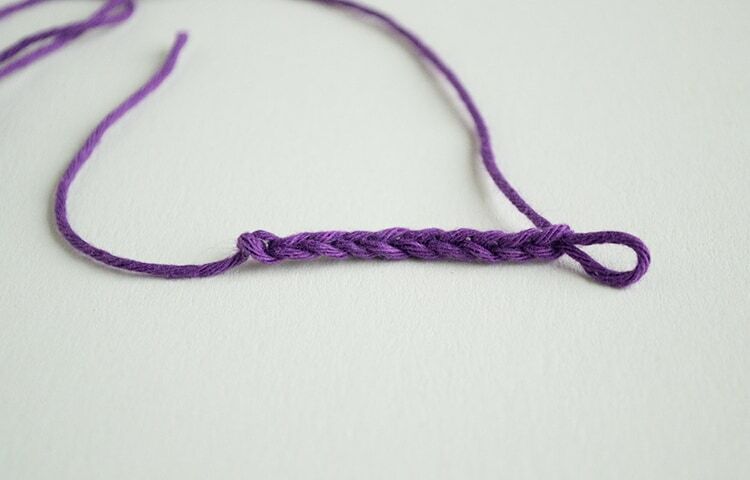 You should start in the second stitch from the previous round. Repeat 2 hdc into the same stitch 6 times. The last 2 hdc make in the ss from the previous round! Join with ss. Make a small x on the circle and sew it on side of the shoe. Thanks for that free patern. 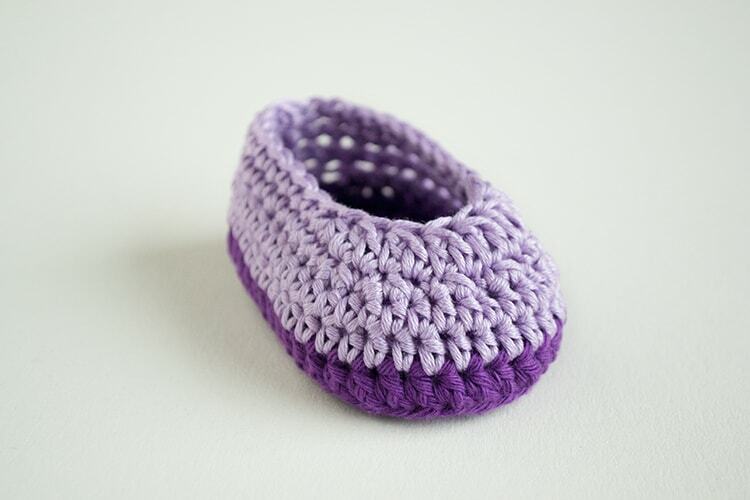 I made this lovely baby shoes. Thanks again! your bootie instructions are so much easier to read than most of the others on the web. And cuter too? Hello. Thank you so much for offering us this great pattern. 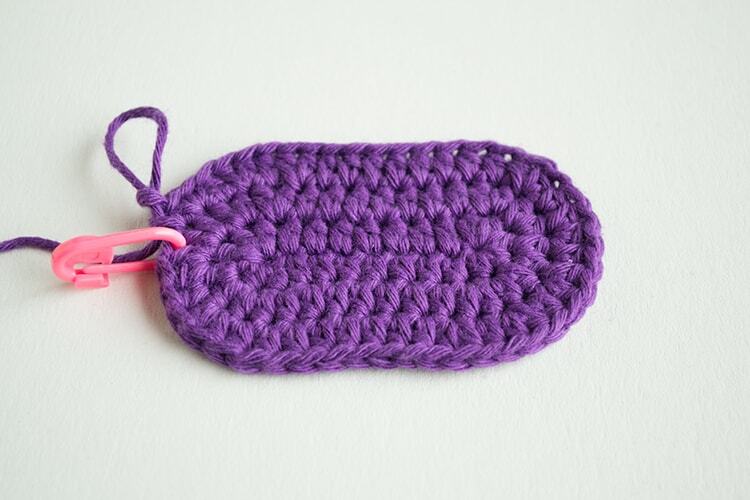 I’m from Romania and I’m a beginner in crocheting. I want to do this pattern for my six and a half year old dauther but I don’t know how I can modify it for her size. Can you help me with that? 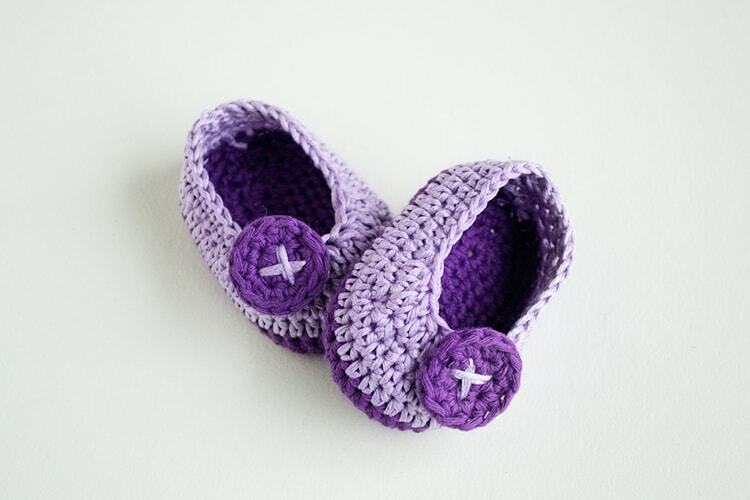 Thank you so much and keep on giving us worderfull moments when crocheting your patterns. 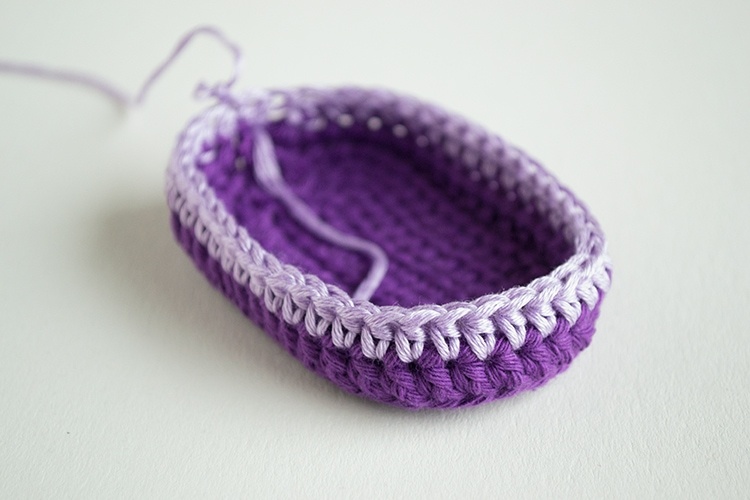 When you would like to create a size or two bigger item than is written in the pattern, just use a bigger crochet hook or thicker yarn. But if you would like to have a lot bigger item at the end than is written in the pattern you should change the pattern, add a few rounds in the pattern. I read your lessons about yarn and the crochet hook. What a super great ideea to gather all that info in one specific lesson. 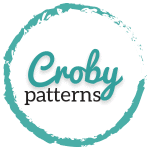 Looking forward to learning about how to read crocheting charts. Since I’ve discovered crocheting, a month ago, I saw all those amazing charts but don’t know how to use it. Thank you for you time to read our mes. and for your imagination and skills in this forgotten art. I´ve found your site by chance and I´m enchanted with it. 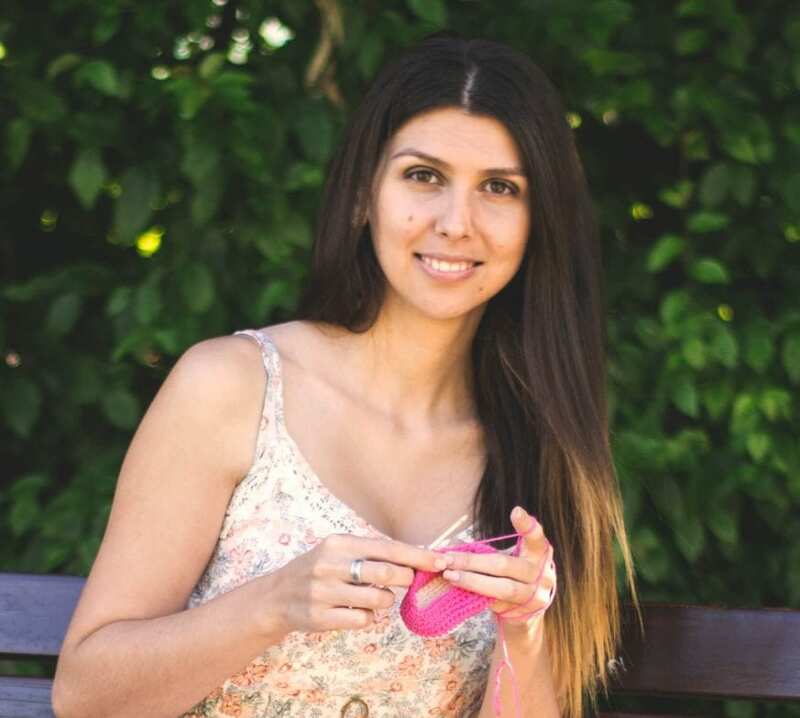 I´m from Rio de Janeiro (Brasil) and I´m begginer in crochet. I´d like to congratulate you ans ask if you have a pdf file of this wonderful (reallly wonderful!) Violet Butterfly project. Thanks to share your heart with us. I love the yarn you used! Where did you get it? I am so glad that I found this website. Your patterns are cute and very easy to understand. ??? 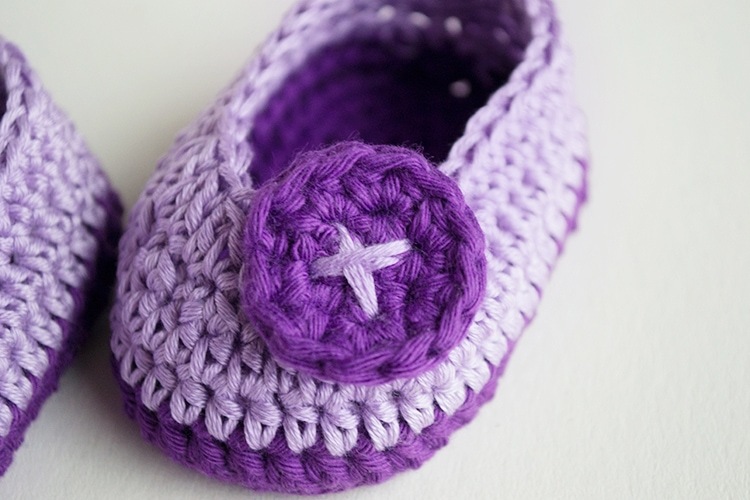 I am gonna make a pair of booties for my daughter.